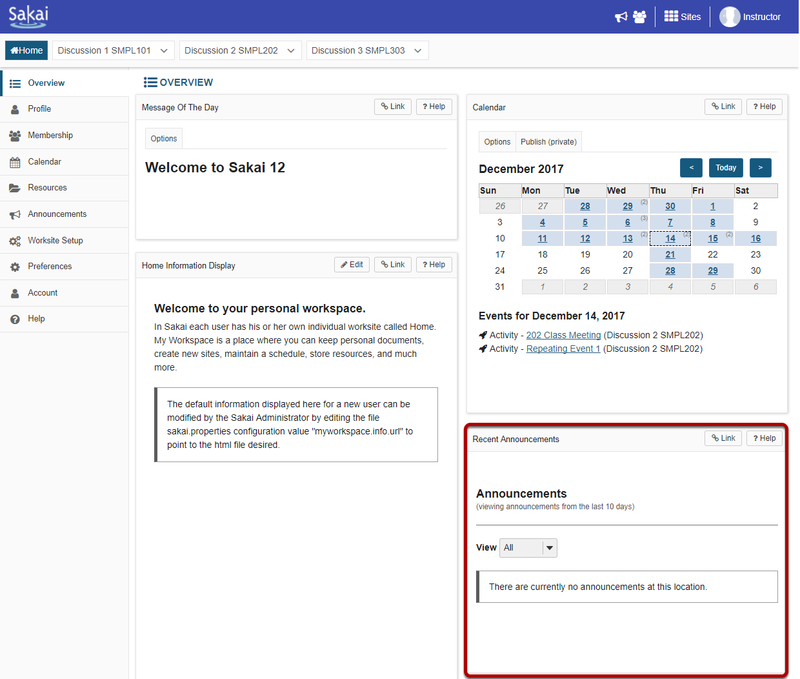 Sakai Community DocumentationSakai 19 User Guide (English) HomeWhat are the Home Recent Announcements? 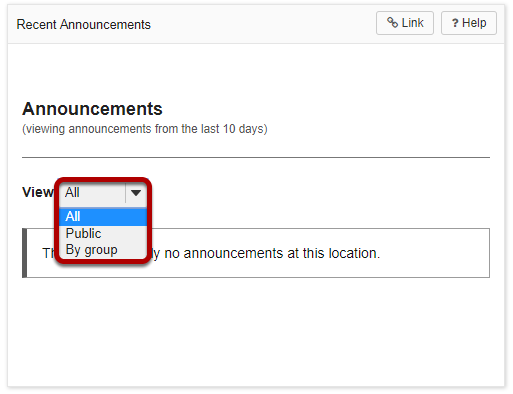 You may select either All, Public, or By Group from the View drop-down menu to customize the display. Prev: What is the Home Information Display? Next: What are the Home Message Center Notifications?